All Off The Beaten Path tours, river cruises, expedition cruises, and adventure trips. Find the best guided trips and expert planned vacation and holiday packages. 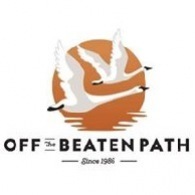 Average rating of 0.0 for all Off The Beaten Path trips. Aurora borealis: Your hot springs resort near Fairbanks is known for consistent sightings of the phenomenal northern lights. Good timing: Late winter/early spring temperatures are relatively mild (20-35 F), with 10 to 12 hours of daylight and far fewer travelers than in the busy summer months. Dog sledding: Learn to drive a dog team and mush your huskies to Exit Glacier (or just ride, if you prefer). Cross-country or downhill skiing and snowshoeing: Shush across the snow through quiet forests, or swoosh down Mount Alyeska, with its fantastic view of the valley’s seven glaciers and Turnagain Arm..